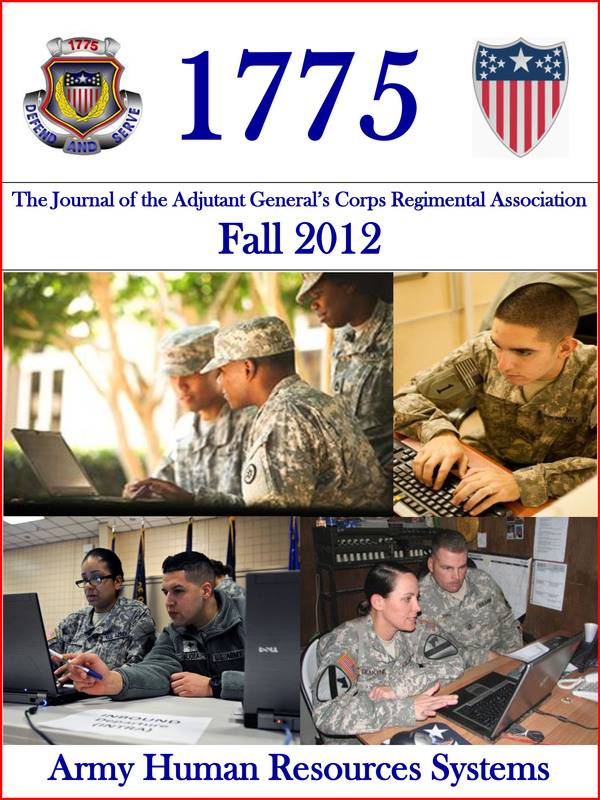 This edition of 1775 is dedicated to ―Army HR Systems.‖ eMILPO, EDAS, TOPMIS, DTAS, DCIPS and iPERMS are just some of the many Army HR systems that AG Soldiers and HR civilian employees continue to work with on a daily basis supporting commanders, Soldiers and their Families. These systems have been around for many years now; however, significant change is coming as the Army is about to embark on a five year IPPS-A incremental fielding plan that will eventually subsume many current systems that we now refer to as ―legacy.‖ The coming transition will result in a paradigm shift in how Army HR professionals conduct their business using a single personnel database of record for all three Army components (Active, ARNG and USAR), which has never occurred in the Army‘s history. We hope you enjoy this edition of 1775 where we will tell you where we are today and where we are headed with Army HR Systems. Six New Chapters Join AGCRA!